From understanding how you became who you are today, to uncovering and removing the obstacles that have gotten in your way, Gruener Consulting and counseling provides more than a place to put your sorrows. The health and well-being of others is my passion and with over 25 years of clinical and wellness practice, I empower Gifted, Twice-exceptional, Parents, and Adults to connect with their authentic selves and live their best lives. Catherine is known for her collaborative results-driven work with those suffering from intensities, anxiety and unresolved childhood issues. 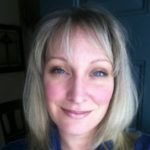 She specializes in neurodiversity and Adlerian psychotherapy healing past issues and providing you with the skills to problem solve future challenges. Catherine has multiple graduate degrees in neuropsychology and counseling and is a certified Adlerian psychotherapist with over 24 years of experience. She offers counseling, education, educational trainings, and consultations across the U.S., identifying and focusing on strengths to support you, your children, and you family in thriving, creating the life that you were born to live. Learn more about her professional counseling services at Gruener Consulting and Counseling. Parenting not only offers you a chance to experience deep love, it can offer you a chance to heal your past. In so, parenting becomes much more than unconditional love. We have an opportunity to learn a new skill set, and an opportunity for profound healing. Parenting in the 21st century has more challenges than any other time in our history. Not only do we struggle with typical behavioral issues like power struggles and sibling issues, we have to contend with technology, the ever increasing exposure of developmentally inappropriate material or subjects to our children, mass marketing directed at our children that push unhealthy foods and activities, leading to disconnected social interactions, childrens' problems with socializing, unhealthy bodies and unhealthy minds. Parents, you need more support now than ever. Encouragement Parenting provides support to parents through weekly tips, Wednesday wisdom, online trainings, in-person trainings, consultations, and classes. Your membership with Encouragement Parenting offers Tuesday Video Tips, Wednesday Wisdom, free trainings throughout the year, and so much more. Get Your Free Guide on How to Stop Back Talk in it's tracks here. Read helpful parenting articles, right here through The Wellness Universe. For self-healing, see more about Parent Counseling at Good Therapy. And take advantage of our Encouragement Parenting Online Program. A comprehensive online parent program with over 36 training videos, 19 worksheets, online support in a private facebook group, and a 1-on-1 private parent consultation with Catherine. This program offers the same training Catherine provides to her clients in her private sessions at a fraction of the cost. You get research-based tools that help you connect with yourself, solve problems, and create more loving, more fulfilling, more connected relationships with your family members. Catherine has been recognized worldwide for her outstanding leadership. The International Association of Top Professionals out of New York, presented her with their Top Female Visionary for 2018 at their recent Gala in New York. She has been inducted into Elite American Educators, Elite Women Worldwide, Marquis Who's Who and selected as "Outstanding Professional of the Year" by Cambridge Who's Who. She was also selected as "Top Female Executive" and was featured in a chapter in the "Top 101 Industry Expert publication." In 2016 named "Top Clinical Professional Counselor of the Year." She is an active volunteer with and is affiliated with several national and state professional organizations including, the North American Society of Adlerian Professionals, the the American Counseling Association, and the Illinois Mental Health Counselors Association, and the Illinois Counselors Association. Certified Positive Discipline Educator with training from the Yale Parent Center. Author, "Parenting Young Gifted Children, What to Expect When you Have the Unexpected." Speaker, Parenting Gifted Children, (2012-present) multiple private and public organizations for gifted children and families in Illinois and across the U.S.